This is an update on what’s blooming on Glen Road. The big news this week is that it is peonies and roses that have opened their buds for all to see. While there are a few other bloomers out in the garden, it is easy to lose track of them due to the utter beauty of the peonies and roses. This year there are more peonies open than ever before and the roses that we have are full and lush in their blooms. So sit back and take a virtual garden tour with us and take a look at what’s blooming in the gardens here on Glen Road. A red rose opened fully in the sun. 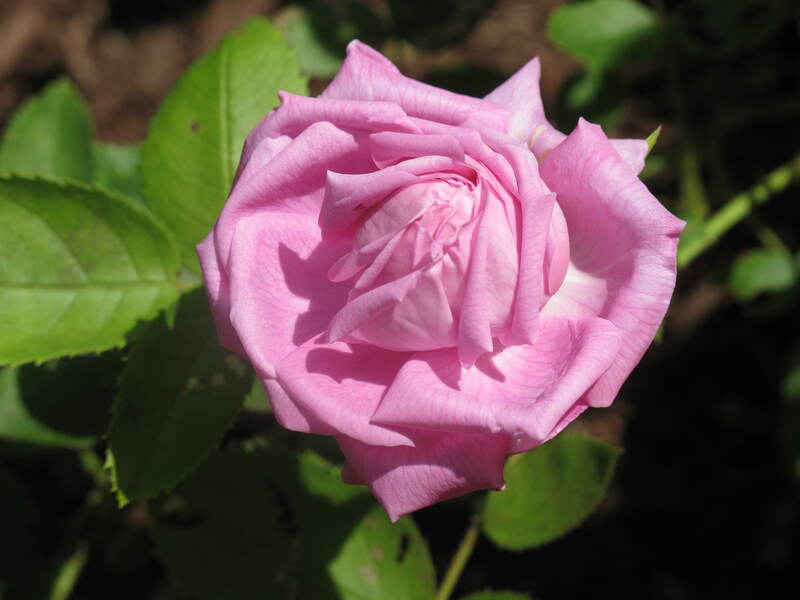 This one has a smaller bloom than a traditional rose…maybe a tea rose? Any thoughts from our rose expert readers? A beautiful peony with a yellow middle. You will need to look really hard into the middle of the flower to see the yellow. A garden staple for almost all gardeners. A yellow daylily. This is Hemerocallis Stella de Oro. A gorgeous pink rose bloom. This rose has been here long before we moved to Glen Road and the pink color is a knockout. A rose bush in front of its peony neighbor in the back gardens. The peony bed in the front gardens. Our favorite colors of white and maroon. More peonies in the front gardens. So majestic in this deep maroon. Hope you enjoyed our little virtual garden tour. The weather is very hot here in Connecticut now so it is time to start watering during the early morning and later evening hours. Even then it is hard to keep everything looking so fresh and lush. Let’s hope we can squeeze a few more days or weeks of beauty out of these gorgeous peonies and roses. It will be a shame if we can’t. What’s blooming in your neck of the woods? This entry was posted in The Garden-2011 and tagged Acorns, Beauty, Blog, Family, Gardening, Life, Love, My Life, Nature, Photos, Spring. Bookmark the permalink. Beautiful flowers. In my neck of the woods, I just planted okra. Hi Rufus’. I love okra, but have never planted it. I might have to think about that….probably a little bit of time left to put some into the vegetable garden. Talk to you again soon. Suffering from spring fever today and just want to escape from the confines of my office. Your garden tour was a nice diversion. Hi Dianna. I’m glad we could help. I know how the Spring fever thing is going. Come back and see us soon. We have flowers in bloom but they are not as pretty as the ones you have shown. Your flowers color seems more vivid. Hi Carolkin. My flowers are pretty but I think I have a good camera as well. Hope you enjoy your garden. Come back and visit soon.